Beckum Law is an employment law firm that handles EEOC charges and lawsuits on behalf of Alabama residents. Will Beckum is an experienced Birmingham employment law attorney who aggressively represents workers who have been denied justice in the workplace. Every day, our firm is contacted by the hardworking employees across the State of Alabama who have been subjected to discrimination, harassment and retaliation. Sometimes these unlawful actions by your employer lead to a wrongful termination that damages your ability to financially provide for yourself and your family. Other times, the harassment and retaliation can be so severe that they lead to significant emotional distress. At Beckum Law, we pride ourselves on being an advocate and voice for individuals who are placed in these difficult situations by their employers. Over the past fourteen years, Mr. Beckum has represented employees in all types of employment law cases in Alabama and across the country. He has successfully litigated cases ranging from discrimination and sexual harassment to overtime pay violations. He has represented individuals in nearly every type industry including teachers, nurses, police officers, sales representatives, medical professionals, and executives. While Alabama is an at-will employment state, there are still Federal Laws that protect employees against discrimination based on gender, race, age, religion, pregnancy and disability, as well as against retaliation and certain harassing conduct by the employer. Alabama employers cannot hide behind the at-will employment rules when they have violated the Federal Laws protecting all workers. Beckum Law is highly skilled at finding and aggressively pursuing these violations on behalf of employees in Birmingham, Alabama and throughout the State. Retaliation cases following protected complaints. Our firm also litigates whistleblower (qui tam) lawsuits relating to the False Claims Act. This statute prohibits businesses who accept federal funds from submitting or certifying false claims for payment for the work they perform. These businesses include medical providers, hospices, and hospitals that receive Medicare payments as well as other types of contractors (defense, telecommunications, and educational) that perform federal contracts. Beckum Law also provides review and negotiation of employment agreements, including employee contracts, non-compete agreements and severance agreements. We review and negotiate employment contracts in Birmingham and around the state of Alabama. 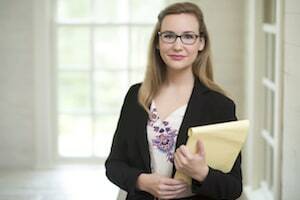 Regardless of the exact type of employment law issue you face, when you retain our services, you will work directly with Birmingham employment law attorney Will Beckum. Mr. Beckum has over fourteen years of legal experience handling all types of employment litigation matters, from negotiating with employers during the EEOC process, to filing and litigating cases in Federal Courts across the country. For additional information about Federal or Alabama employment laws or the Beckum Law firm, please contact us at 205-588-0699.